If you have ever had to handle a property damage claim to get your car, truck or motorcycle repaired after a minor fender bender, you will have dealt with the insurance claim by yourself. Generally, most insurance companies are fairly accommodating when it comes to property damage claims. If their driver was obviously at fault, they'll settle the claim and get you back on the road fairly quickly. Sadly, this is rarely the case when dealing with a personal injury or wrongful death claim. You will need to hire an experienced Atlanta car accident attorney if you want to have any hope of recovering the full and fair compensation you are entitled to under Georgia law. Auto collisions resulting in bodily injuries or fatalities are expensive. Never forget that €“ despite their promises to take care of you should the worst happen €“ insurance companies are a business. They exist to make a profit. Any claim against them is a loss. Even if you've had an easy time recovering compensation for a property damage claim in the past, it is worth remembering that insurance companies expect to take some losses €“ after all, that is the nature of the business they are in. A personal injury or wrongful death claim on the other hand represents a substantial loss compared to smaller property damage claims. It is far more expensive to reimburse someone for their medical care, lost wages and other accident-related costs than it is to fix or replace a damaged vehicle. As a result, you will find it is often impossible to recover adequate compensation in an automobile accident case without the aid of an Atlanta car accident attorney. 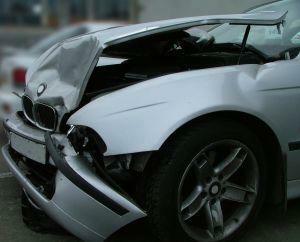 One of the favorite tactics of auto insurance companies is to simply deny that the accident was their driver's fault. This is why it is always a good idea to call out the police whenever you are involved in a crash. Having a Georgia Police Accident Report which assigns blame to one party can be invaluable when it comes to proving who was actually to blame for the collision. Common crash scenarios in the Atlanta area often involve reckless driving habits such as speeding, tailgating, driving under the influence of alcohol, or failing to stop at intersections, red lights or stop signs. Having a Georgia Police Accident Report which records the facts of your accident and which include the investigating officer's opinion of who was at-fault is a priceless piece of evidence when it comes to resolving your claim. If you or a member of your family has been injured or killed in an Atlanta auto accident it is always a good idea to speak with an experienced Atlanta car accident attorney who will be able to fully explain your legal rights, help you identify the liable insurance companies, and deal with the claim on your behalf. This not only gives you the best possible chance of recovering the full and fair compensation you deserve, it also takes the stress and the burden off you €“ allowing you to focus on putting your life back together again. Contact Van Sant Law, LLC for a free consultation on your case. Call 404-991-5950.